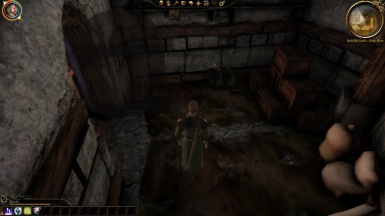 Modified the door behind the dwarves in Redcliffe Castle - Main Floor (cli300ar_redcliffe_castle) in order to gain access to the room with the chest containing the Botanists Map of Thedas. You may use this as you wish but you must credit me for my work. Thanks to Bioware for creating Dragon Age: Origins. Thanks to InsanitySorrow for his ReadMe Generator. 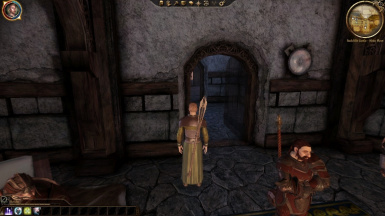 Modified the door behind the dwarves in Redcliffe Castle - Main Floor (cli300ar_redcliffe_castle) in order to gain access to the room with the chest containing the Botanist's Map of Thedas. I also added more doors to the newly accessible areas, which two of them can be opened (only the ones that are needed to access the room with the chest,) and the rest are impossible to open, as there is nothing else to do in those areas. You would need to either be a rogue, use a mod that implements lock picking for other classes, or a mod that can break open the chest in order to access the items inside.